This past weekend I had the opportunity to attend the Speech Hearing Association of Virginia (SHAV) annual conference. During the conference, I was able to attend numerous sessions ranging from alternative augmentative communication assessment to using famous works of art to facilitate literacy. 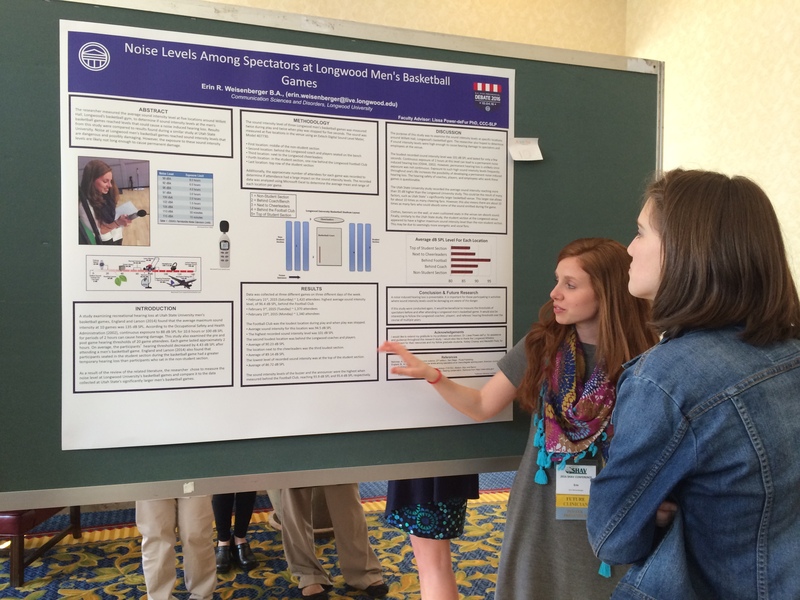 At SHAV, I was also given the opportunity to present my research on the sound intensity levels among spectators at Longwood men’s basketball games. It was immensely rewarding to be able to share my research with my peers and other interested professionals in this fascinating field. My experience at SHAV also allowed me to meet and connect with many professionals and possible future employers. I am so grateful for this opportunity. This month I had the opportunity to attend and volunteer at the Speech Hearing Association of Virginia (SHAV) 2016 Conference. During this conference I was able to meet other professionals in the field, attend workshops and lectures on several topics such as hearing loss, literacy and vocabulary development, voice disorders and treatment, and pediatric feeding and swallowing disorders. I was also able to volunteer with one of my professors from Longwood, Dr. Aguilar. Dr. Aguilar is an Audiologist and presented a review of Audiology for the Speech Language Pathologist, during this presentation I worked with other students to demonstrate skills to professionals. 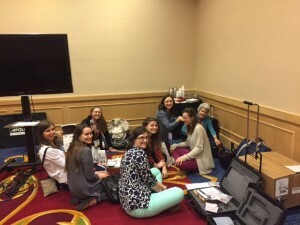 At SHAV, I learned new information about a wide range of topics as well as practical and applicable strategies for treating my clients hear at the Longwood University Speech, Hearing, and Language Clinic. I am grateful for this opportunity and feel that it has better prepared me for a future career in this field. It’s daunting but also exhilarating. I will able to use my degree to open doors of communication for such a diverse population. I am extremely lucky to be where I am right now –in a fantastic graduate program where my professors cheer me on and provide opportunities for me to grow and where I am surrounded by the sweetest group of girls I have ever known who support me in every aspect of my life. Thanks for the memories SHAV. Hello! My name is Moriah Mayhew. 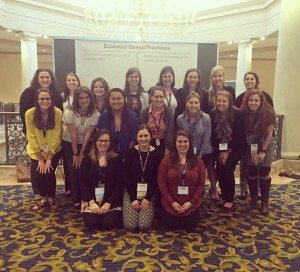 I am a first-year graduate student in the Communication Sciences and Disorders program at Longwood. This year I attended my third annual Speech-Language-Hearing Association of Virginia Conference. As always this conference provided me with new knowledge, new relationships, and fresh insights into the careers of speech-language pathology and audiology. I especially enjoyed the sessions I attended focusing on reading and dysphagia. I am looking forward to using the knowledge that I gained from this trip, and more to come. 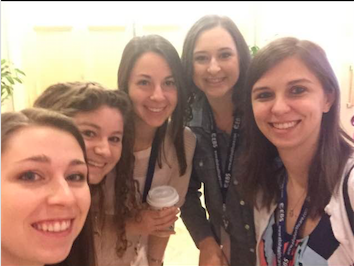 This past weekend I attended the Speech-Language-Hearing Association of Virginia’s annual conference held in Chantilly, Virginia. I attended the conference on Thursday, March 17th and Friday, March 18th. During the conference, I was able to partake in a number of sessions held by a variety of speakers. 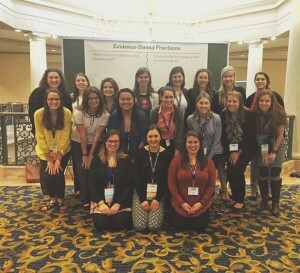 I attended sessions in the areas of language, early intervention, AAC, and licensure requirements.These sessions provided me with information that relates directly to the content that I am learning in my graduate program at Longwood. I plan on using the information that I learned during this conference throughout my career as a speech-language pathologist. While attending the conference, I was also able to volunteer during the CDF auction. This provided me with many opportunities to interact and network with many professionals in our field. 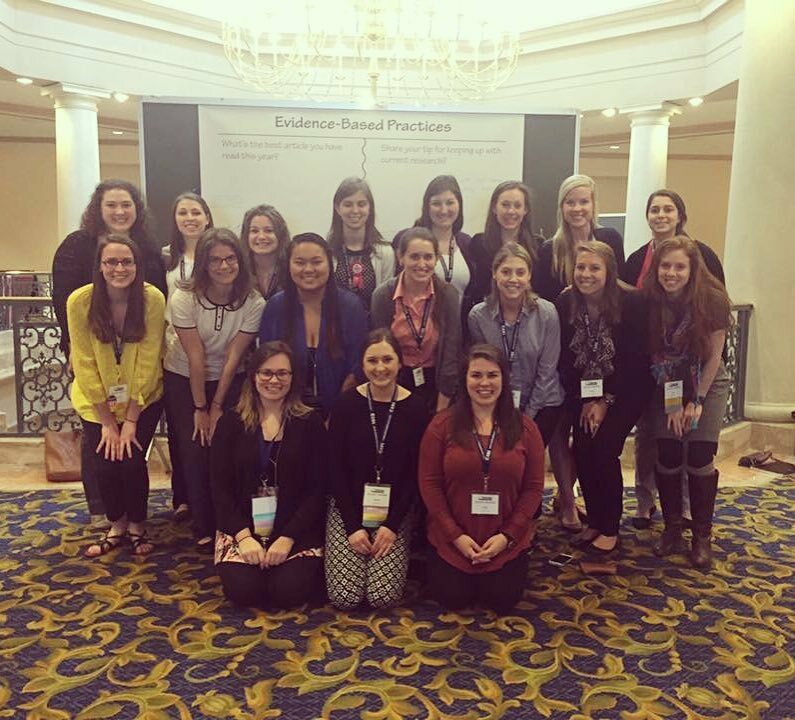 I will carry these new relationships with me as I continue on my journey as a speech-language pathologist. This was my second year attending the conference and I look forward to attending in the years ahead. I am very thankful to have been given this opportunity. 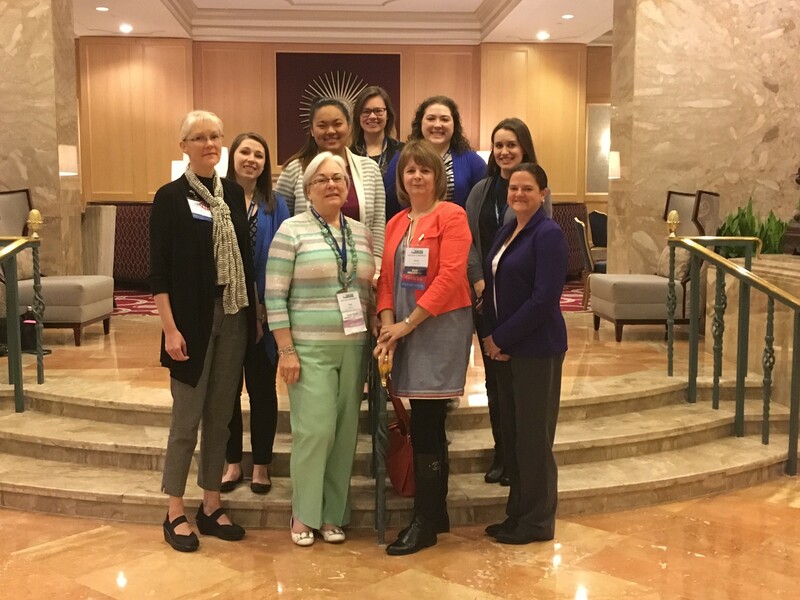 This past week, I was afforded the opportunity to attend the Speech-Language-Hearing Association of Virginia (SHAV) 2016 conference in Chantilly, Virginia. 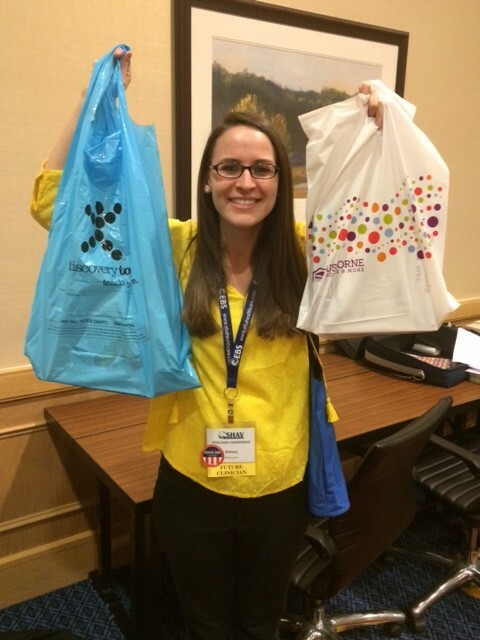 I attended the preconference on Wednesday, and the day-long conference on Thursday and Friday. This was my first time attending this annual conference. I had the opportunity to attend sessions covering various topics including: ASD (Autism Spectrum Disorder), AAC (Augmentative Alternative Communication), Language and Literacy Through Art, etc. I also had the opportunity to network with various vendors from all over the state and some from outside of Virginia. This experience was very memorable for me and I am looking forward to attending the conference next year in Richmond, Virginia. I was able to share this experience with all of my peers in my cohort and with many members of the Longwood CSDS faculty. I am anxious to implement the knowledge that I gained from the conference in my future therapy sessions. I am very much looking forward to my future as a Speech-Language Pathologist. This spring, I had the opportunity to attend the Speech Hearing Association of Virginia (SHAV) 2016 conference. During this conference, I attended multiple sessions about voice therapy, Autism, language, AAC devices, and embarking on my new career. In between sessions, I also had the opportunity to speak to speech-language pathologists and employers who work in different areas around Virginia. 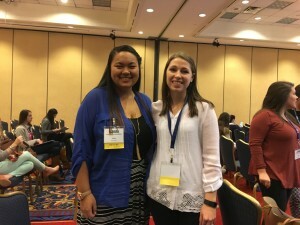 I am very thankful I took this opportunity not only to attend sessions that interested me, but also to meet and connect with speech-language pathologists and employers around Virginia. I believe the people I met at this conference will become valuable resources and connections as I get closer to graduation next year. This past week, I ha d the pleasure of attending the Speech-Language-Hearing Association of Virginia (SHAV) conference. 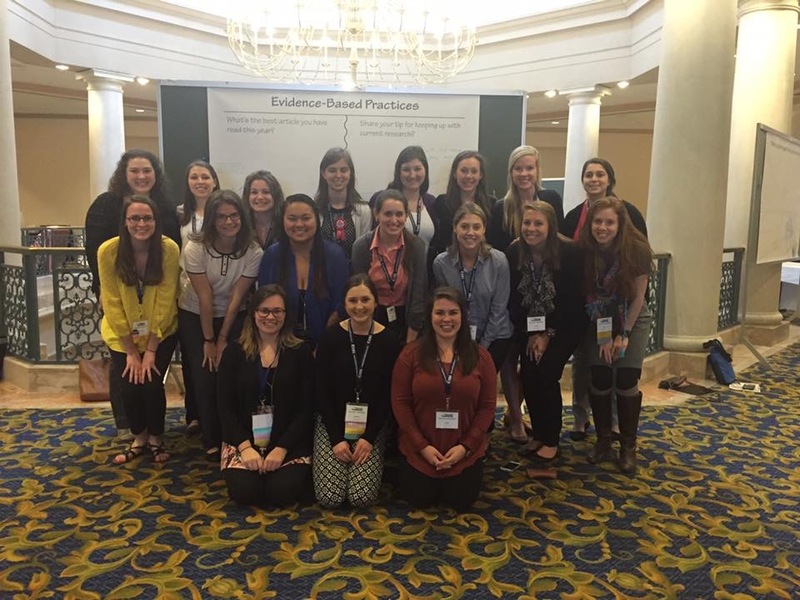 Over three days, the conference had a large variety of sessions for many different areas within the field of speech-language pathology. I am currently interested in pursuing a career in pediatric dysphagia and was very excited to attend several sessions related to this topic. In addition to sessions about dysphagia, I attended sessions about treatment for language, articulation, and fluency. By attending this conference, I was able to augment my knowledge from my graduate program about different evidence-based therapy options. I was also able to network with speech-language pathologists and graduate students from other universities. I truly enjoyed the experience of attending this conference and the knowledge gained from the professionals.